Today, we are going to learn about the CSS backdrop-filter property, which was introduced in the Filter Effects Module Level 2 specification. In particular, we will cover the backdrop-filter property’s syntax, browser support and practical applications. All images included in this article’s demos are from Pixabay.com. You have probably already heard about CSS filters. If you need a refresher on this topic, CSS Filter Effects: Blur, Grayscale, Brightness and More in CSS! is a great read. 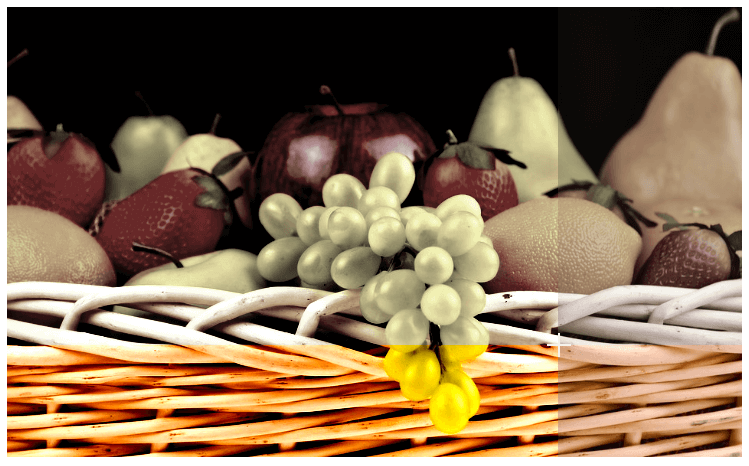 See the Pen Filter vs Backdrop Filter by SitePoint (@SitePoint) on CodePen. In the first case, the filter was applied to the whole image, in the second case it was just applied to the part right behind our text content. I would like to make it clear that the effect is not applied to the element’s own background but to what lies below the element. You also have to keep the element’s own background at least slightly transparent otherwise visitors won’t be able to see the intended visual effects. Just like the filter property, you can apply multiple filters to the element’s backdrop. All the values that are valid for the filter property are also valid for the backdrop-filter property. This property is also animatable. Despite the many similarities between both properties, backdrop-filter does not enjoy the same wide browser support as the filter property. Right now, only Safari 9 supports this property without a flag, and even in this case you have to use the -webkit- prefix. For Chrome and Opera, you can enable the “Experimental Web Platform Features” flag under ‘chrome://flags’. The property is not supported at all in Firefox and Edge. You can read more about browser support for backdrop-filter on Can I use. Another interesting use for this property is to apply different filters to different parts of the image. I am not talking about applying multiple filters simultaneously to the whole image, which, by the way is also possible. I am talking about applying, let’s say, the grayscale filter on the left part of our image and the sepia filter on the right side, or divide the image into multiple parts and apply hue-rotate on all parts with different values. One way to achieve this is by setting the opacity of our target elements to zero so that they do not interfere with the image below them that we are trying to apply the filters to. See the Pen Multiple Side by Side Filters by SitePoint (@SitePoint) on CodePen. 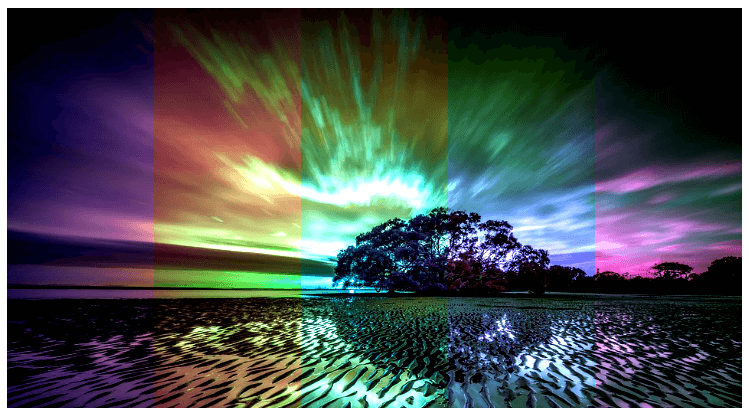 How good the image finally looks will depend on your image as well as the filters you choose to apply, but if used properly this property can create some really cool effects. You should experiment with different filters to see what you can come up with yourself. We can also animate different properties of our target elements. For example, in the following demo there are two divs at the top of our image and I have applied a different filter to each of them. See the Pen Animating Target Elements by SitePoint (@SitePoint) on CodePen. Other possibilities include using SVG filters and animating the filters applied to target elements. Creating all these fancy effects using backdrop-filter is nice but the property can have a lot of practical applications too. 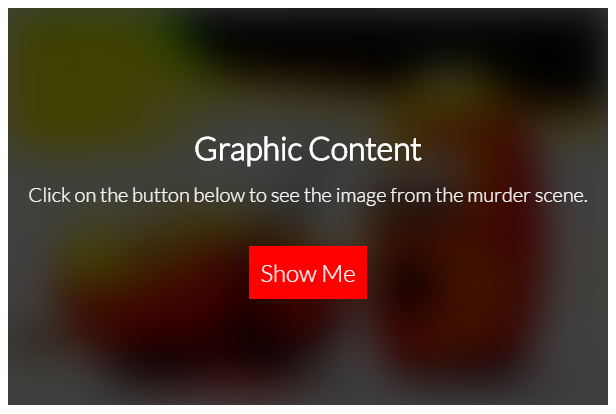 One thing that immediately crossed my mind when I came to know about this property was how we can use it to blur an image and warn users before showing them some graphic content. We wrap both the image that we intend to blur and the warning text inside a div. The warning text is further wrapped inside another div which will have a width and height equal to that of the image. See the Pen Blurring Out Graphic Content by SitePoint (@SitePoint) on CodePen. You can also use the backdrop-filter property to create a blurry background when showing a modal to the user or to blur out the background behind an off-canvas menu when it pops up. 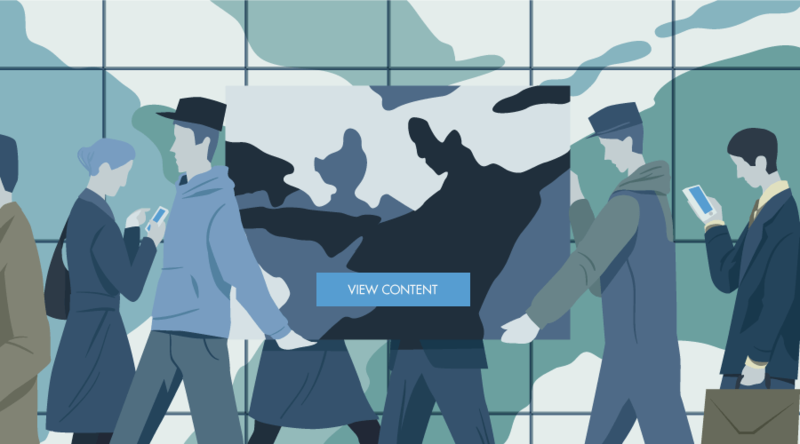 Another use for backdrop-filter is to blur the images on your webpage until they are fully loaded like they do it on Medium. You can read more about the backdrop-filter property in the W3C draft and the MDN documentation. Can you suggest any other interesting uses for this property? How are you planning on using it in the future? Let us know in the comments.